The Test Suite Minimization problem in regression testing is a software engineering problem which consists in selecting a set of test cases from a large test suite that satisfies a given condition, like maximizing the coverage and/or minimizing the oracle cost. In this work we use an approach based on SAT solvers to find optimal solutions for the Test Suite Minimization Problem. The approach comprises two translations: from the original problem instance into Pseudo-Boolean constraints and then to a propositional Boolean formula. In order to solve a problem, we first translate it into a SAT instance. Then the SAT instance is solved using a state-of-the-art SAT solver. 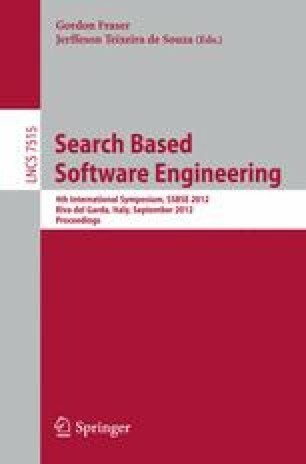 Our main contributions are: we create an encoding for single and multi-objective formulations of the Test Suite Minimization Problem as Pseudo-Boolean constraints and we compute optimal solutions for well-known and highly-used instances of this problem for future reference.